Earlier this week, I traveled to Oklahoma to give a talk at the University of Tulsa, where friends from grad school have ended up teaching in a vibrant media studies program far larger than one might expect for a school of 3300 undergrads. When I go to give a talk, I still have to do my normal job, so I spend a lot of time in faculty offices with the occasional break for a class visit, which are always the highlight of the trip. (I don’t miss grading, but I do miss teaching very much). “Cool,” which is to say, a certain type of bourgeois, with a certain aesthetic that unites it with larger cities while still maintaining a feeling of quaintness. 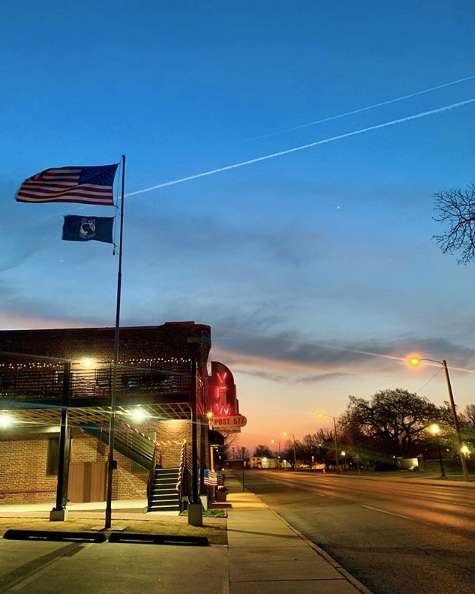 In Tulsa, for example, there’s a gorgeous new book store, an ever-expanding number of breweries, co-working spaces in rehabbed brick buildings, coffee shops in rehabbed brick buildings, airy restaurants with farm-to-table menus in rehabbed brick buildings. 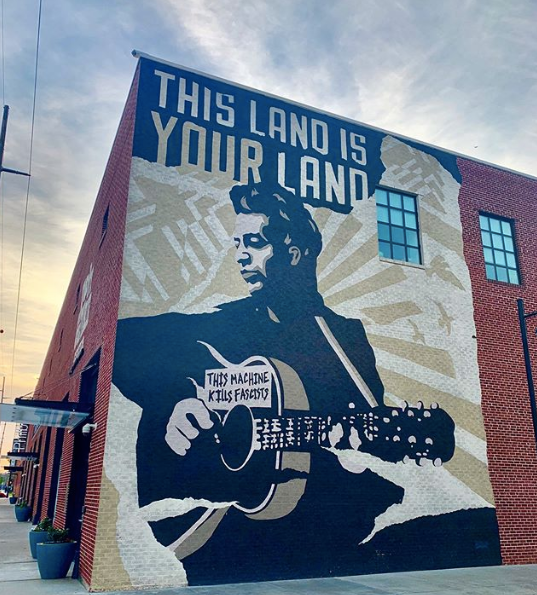 There’s a walkable downtown, a First Friday art walk to get people there, a cultural tourist site (the Woody Guthrie Museum) and public (in this case, actually private) outdoor space (The Gathering Place). Tulsa’s “coolification” has been facilitated by the fortunes of George Kaiser, who, in addition to underwriting dozens of projects (including The Gathering Place) around town, sponsors a program awarding $10,000 to anyone who moves to Tulsa to work for a year. But similar transformations are happening in mid-size cities across the country. “Mid-size” is an elastic term here: it applies to places like Missoula, where I live (population ~120k), but also to Boise, Idaho (~225k), Waco, Texas (~140k), Des Moines, IA (~220k), Salt Lake City (~200k), Albuquerque, NM (~560k), Chattanooga, TN (~180k)and Savannah, GA (~145k). Some of these cities, like Savannah, have lived in the population imagination with some vestige of worthwhile-ness, but others, like Boise or Des Moines, are not the sort of place anyone out of state would think of moving, save for a spectacular job opportunity. It’s not that these cities were unwelcoming or “bad” so much as unexceptional — at least, again, in the national imagination. (The regional imagination is another thing altogether — a lot of these places have long been “the big city,” with all the connotations that accompany that label, especially if you’re from a rural area). But something’s happened over the last ten years. New jobs for creatives and the highly educated continued to cluster in urban areas (Seattle, the Bay Area, New York), where cost of living has continued to skyrocket. Slightly smaller cities that used to provide a haven for creatives without corporate paychecks (Austin, Portland, Asheville, Nashville, Los Angeles) rose as well. Even if millennials could make ends meet in one of these places, it was incredibly difficult to buy a house — at least not in the urban core that drew you to the city in the first place. Affordable real estate was in the suburbs, a monster commute away, in traffic or broken subway systems that only continued to get worse. At the same time, many of the jobs that drew people to the city were becoming, or had the potential to become, “remote” — do-able from pretty much anywhere with a solid internet connection. At least that’s what I did — and what many people I’ve met cities like Des Moines and Boise and Spokane and Waco did. It’s not just millennial creatives making this migration: in Boise, I met dozens of retirees from California and Seattle who’d cashed out on their homes and downsized to condos in Boise, often trailing one of their millennial kids so as to be closer to grandkids. In Des Moines, you can start the bespoke leather shop you’d have to keep on Etsy somewhere else. You can move your food truck to a brick and mortar. You can buy a car to get you out of town, and afford a plane ticket to get you to whatever large city you need to get to. You can take entrepreneurial risks and save for a down payment on a home. You can model your newly expansive lifestyle on Instagram to compel your still-urban friends to move. And you can frequent the cool restaurants and cool events in town, keeping the newly cool-ified business economy alive and thriving. There’s 10,000 more words to write about what this sort of migration does to a city. When you look at a political map, it helps explain the ever-expanding blue dots in “red states” like Utah and Tennessee. It contributes to the spread of “air space” — the feeling, documented extensively by Kyle Chayka, that every coffee shop in America looks and feels the same. Some people integrate fully into the local economy, but others who work remotely maintain their urban salaries and help drive up home prices — a disaster in places that have failed to think meaningfully about how to maintain affordable housing. This migration is largely (but certainly not exclusively) white, and while many of the mid-size cities listed above are also very white, others have been home to communities of color (an odd phrase, I realize) for generations, or provided affordable housing to recent refugees and immigrants. Thrillist recently released a list of the Best American Cities for Creatives (That You Can Actually Afford to Live In). The list is pretty deeply flawed — in part because many of the cities it lists (hello, Nashville!) ceased to be affordable in the last ten years because of creatives moving there. When I posted it to FB, someone noted that a truly comprehensive list would include stats on what creative migration might do to a city: a gentrification-potential quotient. That might not keep people from moving, but it might keep people who do move to think about how to live once they’ve arrived. I’m part of the Missoula problem. But that doesn’t mean I can’t try and mitigate it — through voting, of course, but also by not buying a home to Airbnb (and thus diminish the already tight rental market), by donating to the local food bank, by buying books at the cool and slightly less cool local bookstores, by supporting local news. None of this wholly negates my contribution to the larger problem. But it’s something. There’s so many ways you can be part of a community without displacing or demolishing what made you want to move to it in the first place. But it’s such a fine line. A vibrant downtown, every store front filled, new and excited energy — few people would say they don’t want that for their town. But there’s a way to do it that doesn’t simply map (white, bourgeois, urban) understandings of cool onto a place that, whether you knew it or not, has always had its own version of a cool — even if it’s been dormant for decades. End the tyranny of over-homeworking!